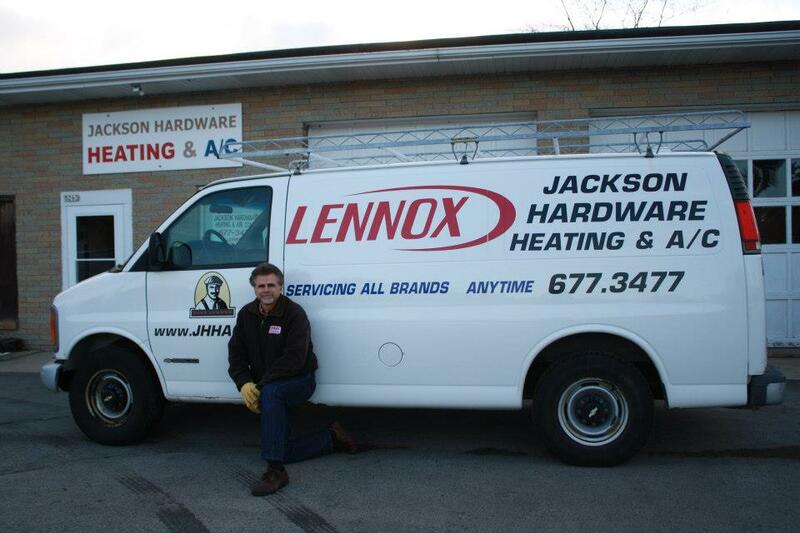 Our company began with Liesener Hardware, Rheingans Plumbing & Heating, Jackson Hardware, and for over 25 years, Jackson Hardware Heating & Air Conditioning. Between Gary Wedeward, owner and installer, and his crew, the company has over 50 years experience in heating and cooling. Lennox-trained & certified, we are dedicated to our customers with 24-Hour Service on all brands. With Jackson Hardware Heating and Air Conditioning, customers save money with no flat-rate service fees. We offer a 2-YEAR Labor Warranty on installation with no gimmicks. Our service area is Washington and Ozaukee County, including, Menomonee Falls, Mequon, Germantown, Cedarburg, West Bend, Hartford, Grafton, Slinger, plus many others and of course Jackson. Born in Fort Atkinson, WI, Gary Wedeward has resided in the West Bend area for over 33 years. With an associates degree in solar energy, studies in HVAC, drafting, and electrical, in addition to owning the company, Gary is also a licensed technician who has serviced heating and cooling products throughout Washington and Ozaukee county for the last 27 years. Our dedicated, experienced and uniformed service technicians are available 24 hours a day, 7 days a week - at a moment’s notice, in extreme weather - or the middle of the night. Our after-hours answering service ensures your call is responded to as quickly as possible. To support the growing needs of our customers, we keep our trucks and shop well stocked so you’re not left waiting for a part to arrive. Your comfort is our first priority. With no gimmicks or costly flat rate charges, call us today at (262) 677-3477 to see why just last year, 55% of our new customer service calls came from referrals. Our team of dedicated installers have performed thousands of installations throughout Washington and Ozaukee counties. We know what customers want to see: uniformed technicians who are on time, knowledgeable, professional and up to speed. We correctly install proven Lennox equipment with no gimmicks and honest dedication. Customers count on us for exceptional service and unparalleled quality. As a testament to this value and quality, just last year 58% of our new customer installations were generated from referrals.